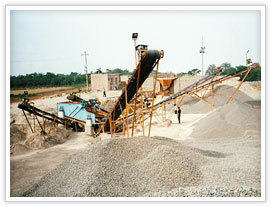 This customer have bought one JC jaw crusher from SBM for the limestone crushing. “The spares, backup and service support of a local manufacturer is also a significant benefit, and customers are assured that spares and service from Osborn’s trained engineers will be available quickly and easily,” SBM client Grover stresses. But why his choose SBM from China, because he believe our professional and comprehensive service. In addition, as the global integration that standard machines and components on the track unit all fit in with SBM standard product offering, to ensure that parts are readily available and supported in the Mexico market.